Ok people…this Starbucks thing is getting out of hand. 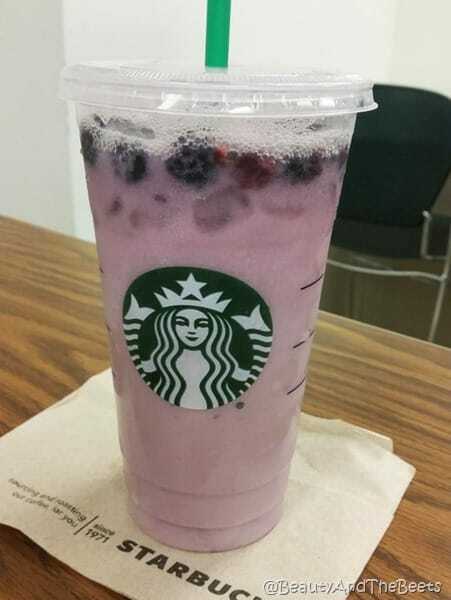 First we had the Pink Drink, now we have the Starbucks Purple Drink (not to be confused with the Violet Drink), though it really isn’t purple. 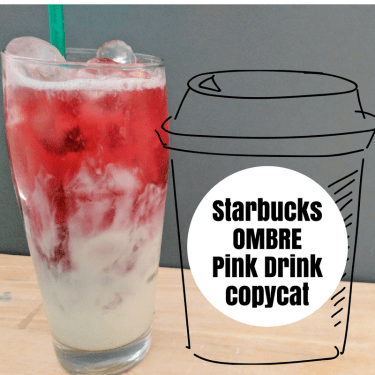 The Pink Drink has basically broken the internet. 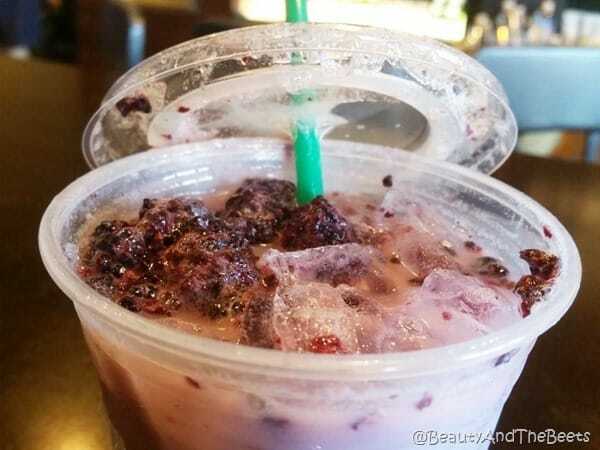 All it is the Starbucks Acai Refresher made with coconut milk instead of water. 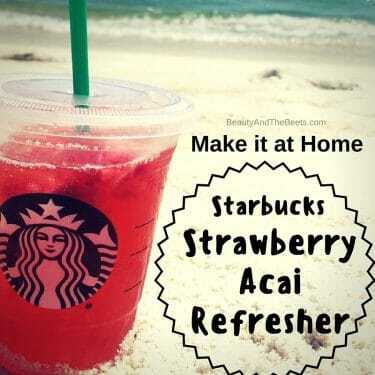 And so many people are asking for this at Starbucks that some stores are running out of freeze dried strawberries and coconut milk. And now we have the Purple Drink – how it is ordered and its ingredients has become quite a debate online. So, as you can see in the picture, neither version is really purple. (I learned the secret to making it purple though- read on). 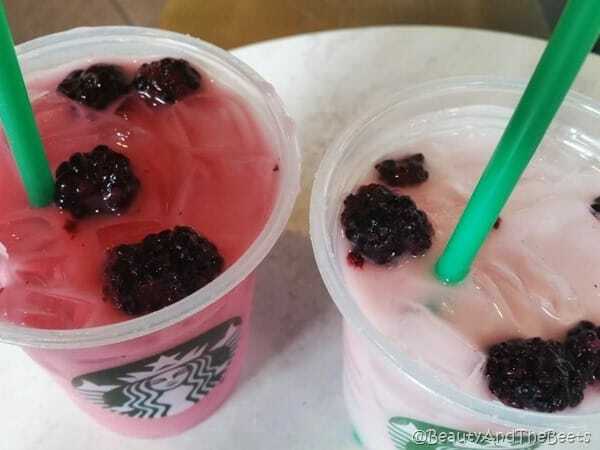 On the left is the Passion Fruit version, while the drink on the right is the Berry Hisbiscus variation. Both had coconut and blackberries but the flavors were polar opposites. 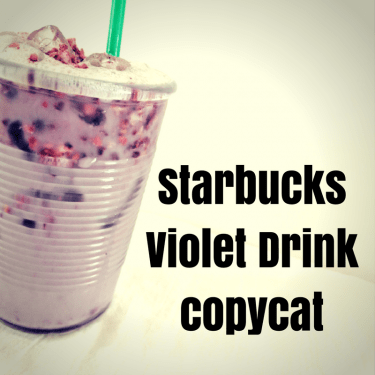 So, in keeping my tradition of trying to copycat some the Starbucks summer drinks, I tried my hand at the Purple Drink. 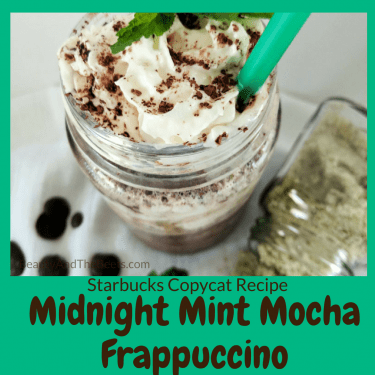 The ingredients were not as easy to find as those in the Pink Drink (in my opinion). I tried to find Vanilla Simple Syrup at Whole Foods, The Fresh Market and Publix and had no luck. 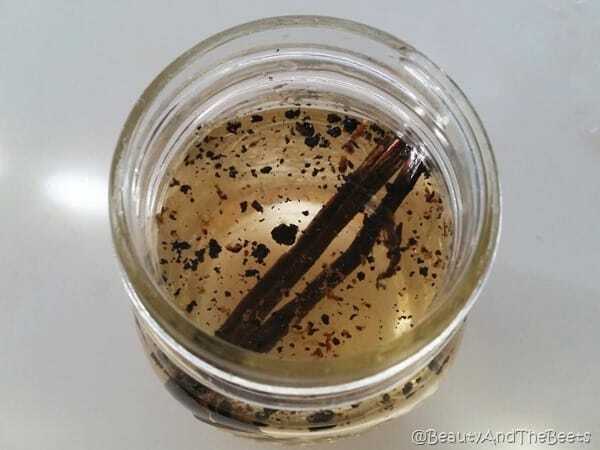 So I made my own –> Vanilla Simple Syrup and I loved how it turned out. I probably also saved a lot of money as most flavored simple syrups tend to run about $20 for a bottle at most coffee shops. The Passion Fruit tea was hard to find as well. I found a pretty good one at Whole Foods but it was not straight Passion Fruit. I had better luck at finding it online. However, Starbucks sells a Passion Tango tea which is what they actually use- and there is no passion fruit in it. The tea is made with papaya and mango. I found that using Passion Fruit tea tasted exactly the same. 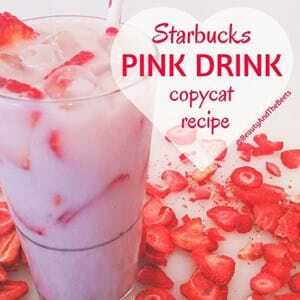 My recipe was the same deep pink as Starbucks’ version. Short of adding food coloring, I am not sure if you can really follow this recipe and get a true purple color. 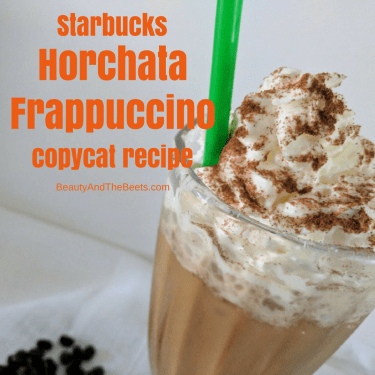 It is not an official Starbucks drink. It is not on a secret menu as there is no official secret menu. 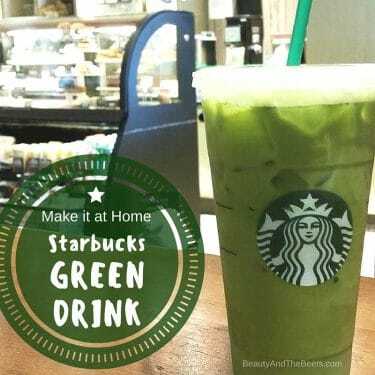 The “secret menu” is just an unofficial list of what other customers order and like, compiled by people on the street, not the fine folks at Starbucks. Baristas are not required to know anything on the “secret menu”. 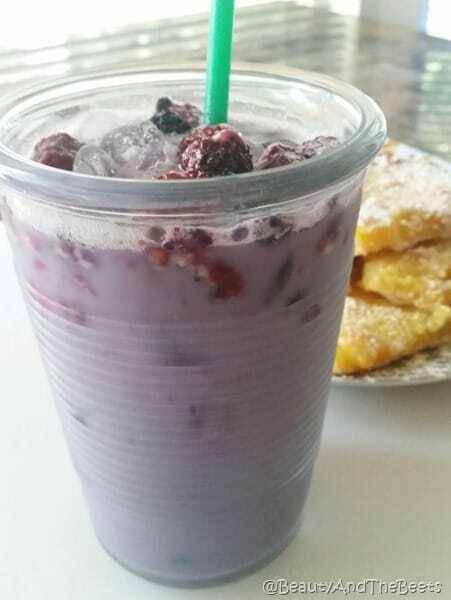 Simply explain to the Barista that you would like a Passion Tea with Vanilla Syrup, Soy Milk and Blackberries. Shaken not stirred. OK? Deal? 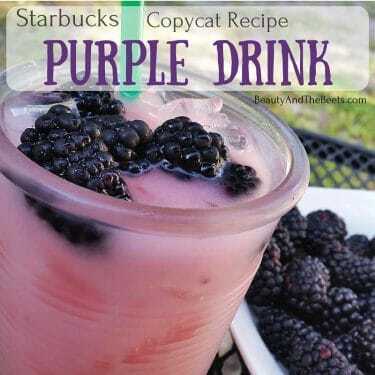 Great, now if you want to make this Purple Drink at home and save yourself some money- here is the copycat recipe. 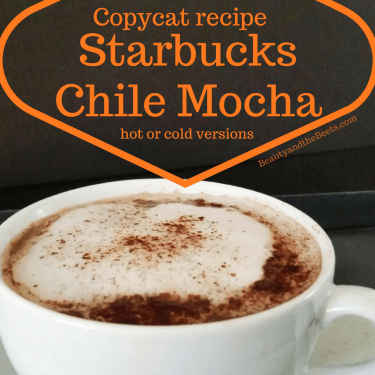 The original copycat recipe. 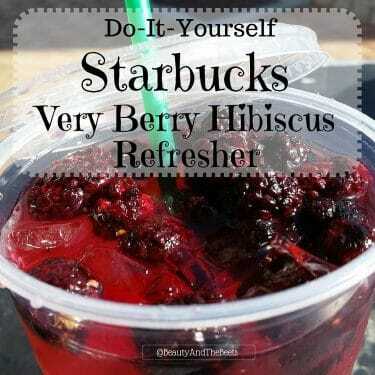 One note about the blackberries- as I stated before, the key to the purple color is to use freeze dried blackberries. I had a very hard time finding those in a store, not even in my local Whole Foods or Trader Joes. I ended up ordering them on Amazon and found they were fairly cheap. But please let me know what stores are selling them around you!! 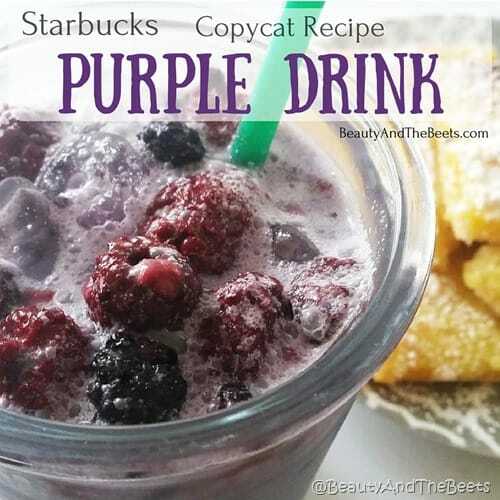 The original copycat recipe for the Starbucks Purple Drink. Boil 5 cups of water in a teapot on the stove. Steep 6 Passion Fruit tea bags for 30 minutes. Remove the tea from the stove and pour into a serving pitcher. Add 3 cups of cold filtered water. *This will make 2 quarts of Passion Fruit tea. Pour 1/2 cup of the Passion Fruit tea over the ice, followed by the Vanilla Simple Syrup and the Soy Milk. 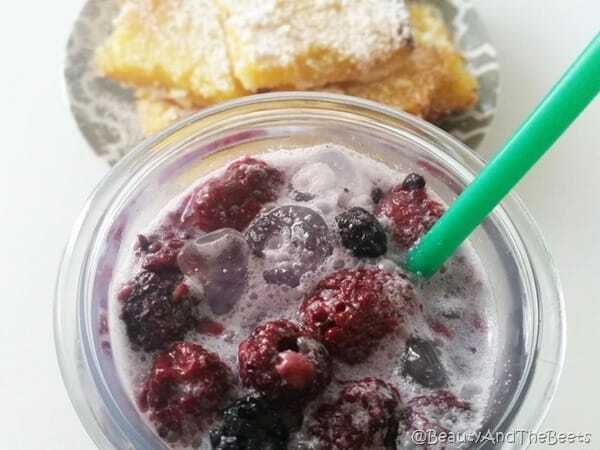 Add half the blackberries to the shaker, add the lid and shake vigorously for 10-15 seconds. 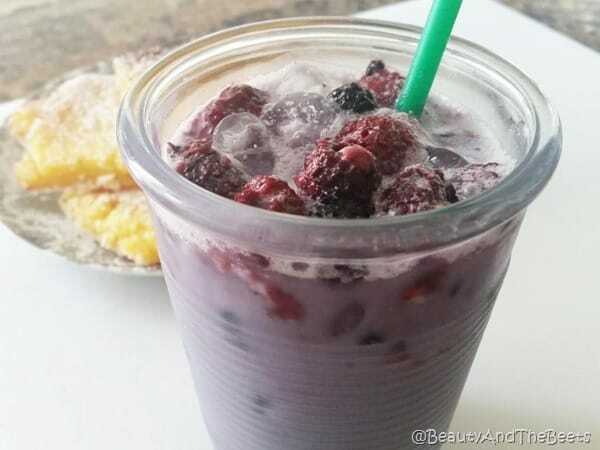 Pour the shaken drink into a serving glass and top with the remaining blackberries. *Some stores use coconut milk and some people say that it is the soymilk that makes the color more purple. Feel free to experiement and let me know if your drink turns out more purple. However, most comments I have read online claim that the soy milk is used more often. **If you are not using a cocktail shaker, just add the ingredients to the serving glass and mix with the straw before the serving. well now im in trouble becuase ill be making it all weekend 😉 Thanks girl! 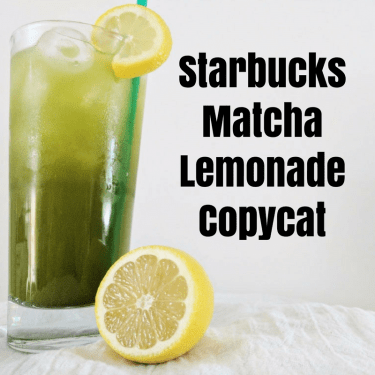 i love their drinks but having a copycat saves money for sure! happy friday! Thanks Cait!! 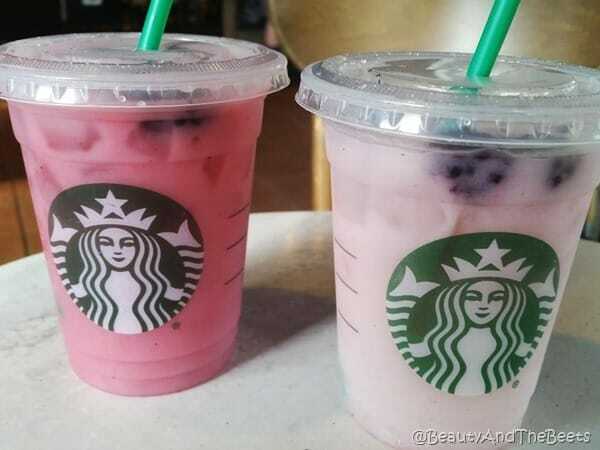 I like the Pink Drink better but the Purpe Drink is great too!! Have a great weekend! Thanks Edye. 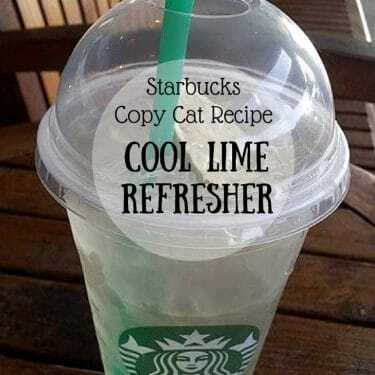 It seems everyone is loving these new Starbucks creations just in time for the summer. Happy Friday! Thanks Kim- have a great weekend! I;ve heard of these and I’m so intruiged! My first job was at a Panera Bread when I was 16 and I swear, people can get SO BENT OUT OF SHAPE over dumb things. Chill out. Ya, it’s crazy just listening to all the stories from the Baristas! !